Ask crime scene technicians to name the biggest problem that they encounter on the job and you will consistently hear the same response—crime scene contamination by curious officers, detectives, and supervisors. Whether called evidence technicians, identification bureau officers, or laboratory specialists, either civilian or sworn, most personnel responsible for the processing of crime scene evidence find the same problems repeated by the same "offenders. "1 The unintentional contamination of crime scenes appears to be a problem that will not go away without written departmental policies reinforced by a strong foundation in training. Very early in their careers, most law enforcement officers realize that the police work they see depicted on television and in the movies bears little resemblance to their jobs. It is something of an anomaly, therefore, that many of these same officers seem to believe that crime scene work should be performed as it is on the screen—murder scenes filled with loitering blue uniforms and multitudes of detectives hovering over bodies, with crime scene personnel appearing just long enough to snap an occasional picture or to dust a piece of furniture for fingerprints. Officers who work under this misconception do not seem to understand that a crime scene is no place for a crowd. 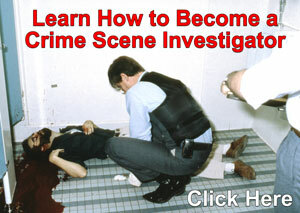 Widespread trampling of crime scenes can prove very damaging to investigations. Often, it results in several of the more sensitive forensic techniques—such as trace analysis, blood spatter interpretation, and DNA comparison—not being used to their fullest potential. Crime scene technicians know the futility of collecting hair or fiber samples after a roomful of officers have shed all over the scene. Footwear and tire track evidence is rarely recognized as valuable in departments where officers routinely wander unimpeded through crime scenes.2 On occasion, this can seriously hamper investigations. Not long ago, a sheriff's department was forced to conduct a mass fingerprinting of its detective unit after a particularly sensational homicide crime scene became overrun with curious personnel. Considerable time and effort went into eliminating officers' fingerprints from the pool of legitimate prints. In another case involving a different agency, a set of crime scene photographs showed supervisory personnel standing on a blood-soaked carpet. The role of detectives and supervisors in protecting crime scenes cannot be overstressed. These individuals ultimately are responsible for an investigation. Investigators who conscientiously limit the number of visitors to a crime scene ultimately may save themselves a great deal of legwork. The simplest and most productive way for supervisors and detectives to discourage crime scene contamination is to set a good example by their own behavior. If a lieutenant walks around a crime scene at will, opening drawers and rifling through closets, what could be the harm in other officers doing the same? If a detective sergeant fails to implement a sign-in log for scene visitors, what is there to limit "drop in" visits by curious patrol officers? It is in the best interests of case investigators to set a good example and to make sure others follow it. Prosecutors who have lost cases due to crime scene contamination could be an invaluable source of ideas in the formation of policy. Likewise, administrators should take advantage of the technical knowledge of laboratory and crime scene specialists when formulating the department's policy. The highest-ranking officer entering a crime scene must assume responsibility for all subsequent visitors to the scene. This final element means that any supervisory officer who visits the scene to "have a look around" must stay at the site until either the crime scene technicians finish their work or a higher-ranking officer arrives. Needless to say, this simple requirement goes a long way to discourage pointless tourism. An officer attempting to secure a crime scene who finds the post regularly overrun by curious commanders must have the means to protect the scene, enforce department rules, and deal with superior officers. This is often a difficult balancing act. A clearly written, well-enforced policy helps to level the playing field. In addition to a clearly defined written policy, departments should also address the problem of crime scene contamination by instructing new officers to follow approved practices. This is best accomplished during basic academy instruction by having crime scene specialists discuss the department's policy and the importance of protecting forensic evidence. As more officers become trained in proper practices, the risk of future crime scene contamination steadily diminishes. 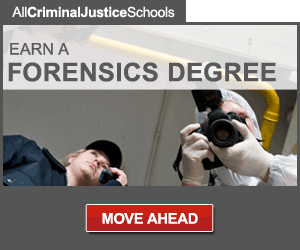 Crime scenes often yield forensic evidence that leads to the apprehension of dangerous criminals. Perhaps just as often, though, potentially valuable evidence is destroyed or rendered useless by careless behavior at the crime scene. Clearly written directives and training for new officers in this area will help agencies to resolve the problem. However, the ultimate responsibility rests with administrators, supervisors, and detectives to reinforce positive conduct by setting a good example for other officers to follow. R. Saferstein, Criminalistics: An Introduction to Forensic Science, 2d ed. (Englewood Cliffs, New Jersey: Prentice-Hall, 1981), 31-32. W. Bodziak, Footwear Impression Evidence (New York: Elsevier, 1990), 16-17. L. Eliopulos, Death Investigator's Handbook: A Field Guide to Crime Scene Processing, Forensic Evaluations, and Investigative Techniques (Boulder, Colorado: Paladin, 1993), 2. V. Geberth, Practical Homicide Investigation (New York: Elsevier, 1983), 21. J. Peterson, S. Mihajlovic, and M. Gilliland, Forensic Evidence and the Police: The Effects of Scientific Evidence on Criminal Investigations, National Institute of Justice Research Report, Washington, DC, U.S. Government Printing Office, 1984, 46. This Article Originally Appeared in the FBI Law Enforcement Bulletin, September 1994.